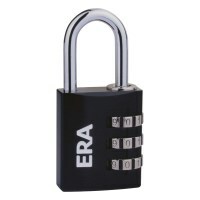 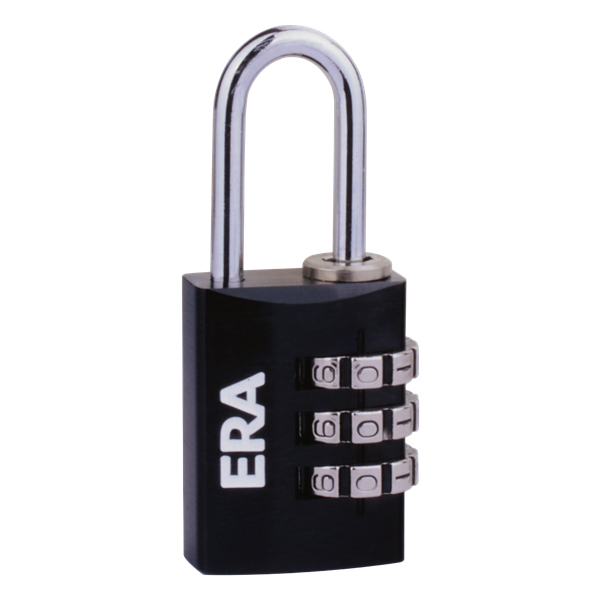 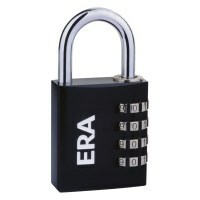 ERA Combination Padlocks in a Black Finish with 3 or 4 wheel combination dials. 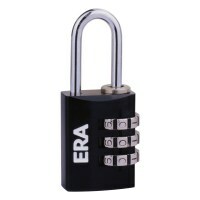 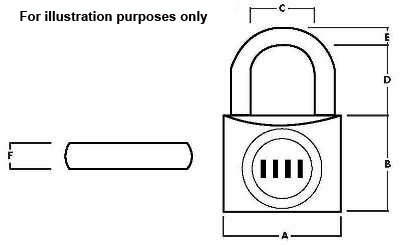 These padlocks come in 20mm, 30mm and 40mm body width options, each padlock has a black aluminium body and steel shackle. 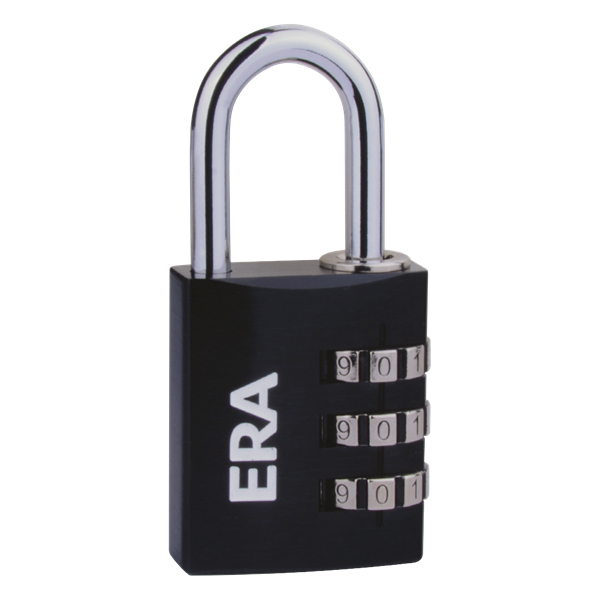 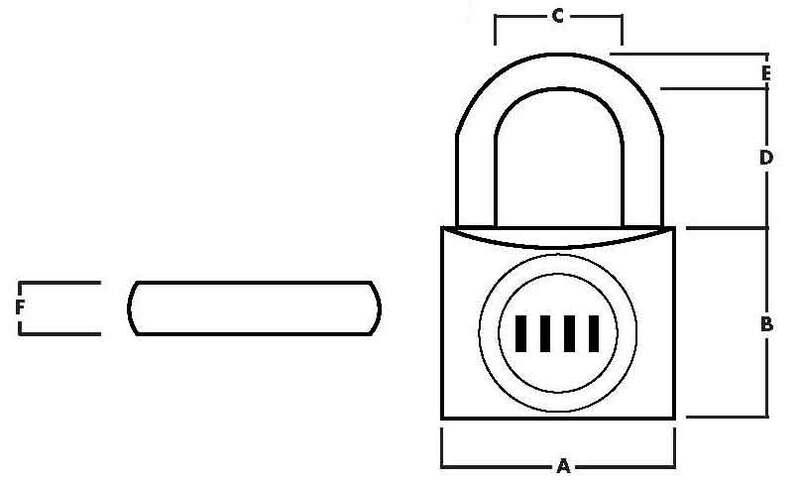 The 3 wheel 20mm and 30mm padlocks have up to 1000 possible combinations and the larger 40mm with 4 dial combinations have up to 10000 possible combinations. 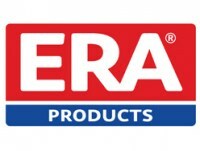 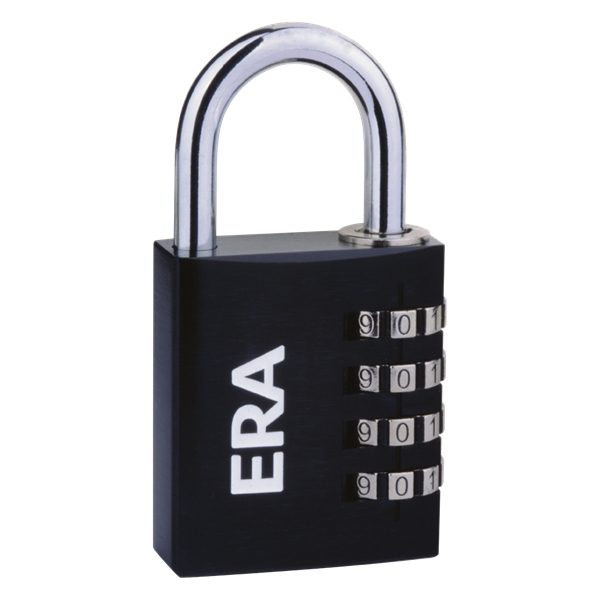 These small combination padlocks from ERA are ideal for low and medium security situations, such as lockers, luggage, cupboards and tool boxes.